Edited by Hermenio Lima . By virtue of the dynamic nature of the scientific process, the description of the type, pathogenesis and treatment of a disease is always a work in progress. Each day new research shapes and refines our understanding of disease processes; an attempt to describe the current scientific understanding provides merely a snapshot of a body of knowledge that is constantly changing. However, characterizing a disease using homeostatic and physiological terms allows the creation of a framework to convey the most up-to-date theories while maintaining the potential for their evolution. The complex nature of any disease can similarly be unveiled through understanding the historical context of our current understanding, examining prevailing hypotheses and extrapolating horizons for new research. To develop a framework for understanding of psoriasis and its evolution, the first perception to be changed is the prevalent teleological view of pathogenesis. 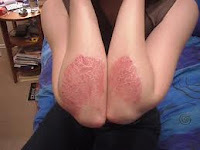 The general notion that psoriasis is one disease with one mechanism must be changed. This model full of logic and consequences does not apply in many other areas of medical and non-medical science. However, the belief that certain phenomena are best explained in terms of purpose rather than cause infest the medical scientific field. As such, it is necessary to move to a new approach to describing the relationship among immune system, other systems and environment. For better development of this book about psoriasis, the main objective was to provide insights on the types, causes, and treatments of this prevalent humans disease. Any successful program of knowledge transference has to discuss the pivotal role of some of these aspects of immunopathophysiology, how our understanding of its mechanism evolved, and how to block or revert the effect of a specific immunological disequilibrium. Through this, the aim is to explain some facts of modern science that might be useful for clinicians to understand the basis of psoriasis. Moreover, an important goal is to dispel some misinformation that might have a negative impact on the use of new immunomodulators and medications available. Treatment basis and therapeutic response experience strongly supports the use of immunomodulators as important modalities in the treatment of many diseases in all fields of medicine. Studies with these therapeutic agents, which act in different steps of the inflammatory cascade, have also shown significant efficacy in psoriasis. This approach might substantially improve the transference of disease knowledge for physicians and is intended to improve the quality of medical services that endorses training of excellence and assesses the qualifications of physicians, most of whom will be naïve to clinical dermatological practices.